Product #20526 | SKU 967001001 | 0.0 (no ratings yet) Thanks for your rating! 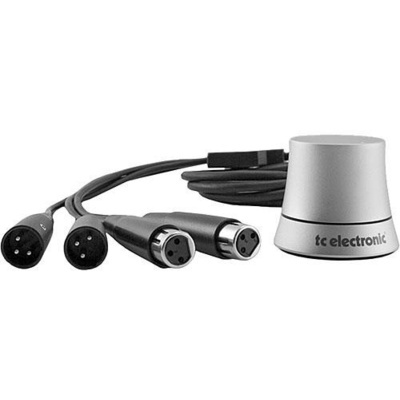 The Level Pilot from TC electronic is a high-quality analogue stereo volume control that provides you with precise control over your levels without cluttering your desk. Constructed from aluminium, the Level Pilot has a slip-free design and a tight grip rubberised bottom plate to keep it from sliding on your desk. In order to keep clutter minimised, the Level Pilot requires no power supply, and employs quad-core cabling. The connectors are standard 3-pin XLR, allowing the Level Pilot to connect to virtually any mixing station or DAW.